NFL: How Does Greg Hardy’s Suspension Affect the Dallas Cowboys? 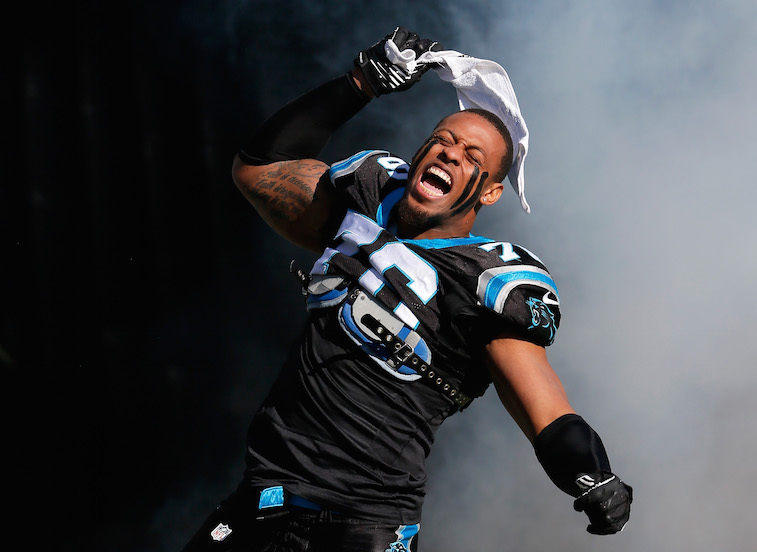 The NFL laid its disciplinary hammer upon Greg Hardy on Wednesday afternoon. Commissioner Roger Goodell suspended the Dallas Cowboys defensive end for the first 10 games of the 2015 season for conduct detrimental to the league. To the surprise of nobody, Hardy has already said that he plans to appeal the ruling, but even if he is successful in getting his suspension reduced, the 2013 All-Pro will still be out of the Cowboys’ lineup for a significant amount of time this season. Goodell informed Hardy of the NFL’s decision via a written letter that laid out exactly what was uncovered following its “extensive two-month investigation,” and the details were rather disturbing. Nonetheless, some people still viewed the 10-game punishment as overly harsh and unprecedented. If you ask us, it was refreshing to see the NFL crack down on a 6-foot-4, 275-pound man who is said to have physically and mentally abused a woman who is nearly half his size. Hardy signed a unique contract with the Cowboys in March that, prior to his suspension, was worth a maximum value of close to $13 million. Given the per-game nature of his contract, the most Hardy can earn after his suspension is $6.87 million to $3.47 million in per-game roster bonuses, a prorated $281,250 of his $750,000 in base salary, a workout bonus of $1.31 million, and performance incentives of up to $1.8 million. Since at this point in time Hardy will be only playing in a maximum of six games in 2015, it is unlikely that he earns much, if any, of his incentive pay. In total, Hardy’s suspension cuts his 2015 salary cap number by almost 50%. Assuming that Hardy’s suspension is upheld following his appeal, the Cowboys will have a gaping hole in their defense for their first 10 games of the 2015 season. The Cowboys were almost surely anticipating a suspension for Hardy, but it is highly unlikely that they saw something of this magnitude coming. Without Hardy, the Cowboys are down to Jeremy Mincey, Tyrone Crawford, Jack Crawford, Lavar Edwards, Davon Coleman, Kenneth Boatright, and Ben Gardner. Outside of Mincey, none of those athletes has proven that he can be anything more than a situational player in the NFL. 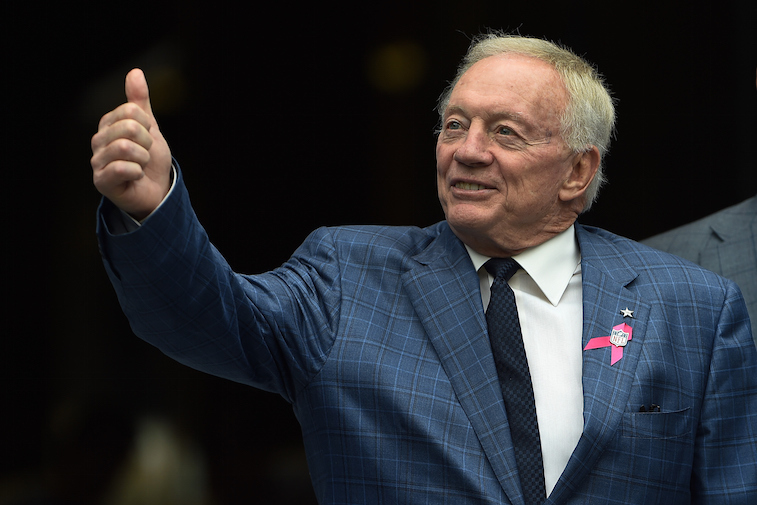 With the free agent market already having been picked over, the Cowboys are now practically forced to address the position in the early rounds of the 2015 NFL Draft. Of course, they could also roll the dice with the guys they currently have on their roster, but for a team with a limited window of time to make a Super Bowl run with Tony Romo as its quarterback, gambling on several unknown commodities until Hardy is reinstated seems incredibly risky. If one of them pans out, the Cowboys will look like geniuses. If not, they could be out of the NFC playoff picture before Hardy returns for the team’s Thanksgiving Day game against the Carolina Panthers. On a more positive note for the Cowboys, Hardy’s suspension frees up several million dollars’ worth of salary cap space that was otherwise being reserved to account for the defensive end’s per-game roster bonuses. That raises the question: What exactly is Dallas now looking at in terms of cap space for the upcoming season? The team is currently $12.68 million under the 2015 salary cap, and it has a projected rookie salary pool of $4.56 million, which leaves the Cowboys with roughly $8.12 million in cap space before factoring in Hardy’s projected numbers. Before going much further, let’s be clear about one thing: This news does not change the fact that the Cowboys cannot take on Adrian Peterson’s contract without removing and/or restructuring at least one of the big-money contracts they currently have on their books. After having already restructured Romo’s deal, their only real option would be to redo Brandon Carr’s contract or outright trade the star cornerback altogether. The likeliest solution for the Cowboys will be for them to add a defensive end sometime during the first two rounds of the upcoming draft, which is something they likely would have done even if Hardy were eligible to play for the entire season. There is also the very real possibility that the team could choose to release Hardy, who has no guaranteed money written into his contract, and start from scratch. Only time will tell how Dallas chooses to address the situation, but there is no arguing that the Cowboys are now in dire need of help at the defensive end position.